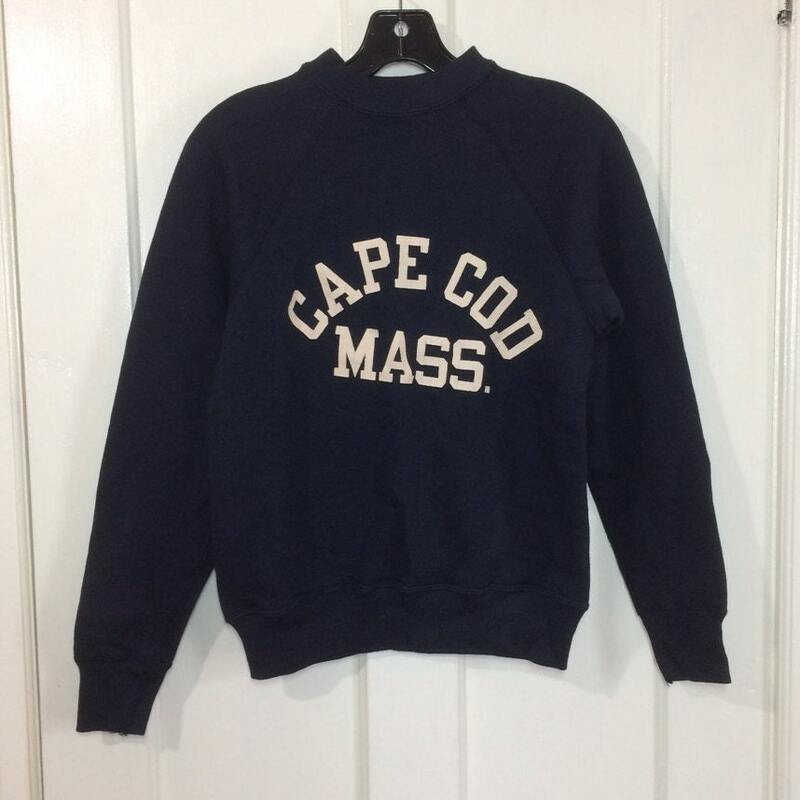 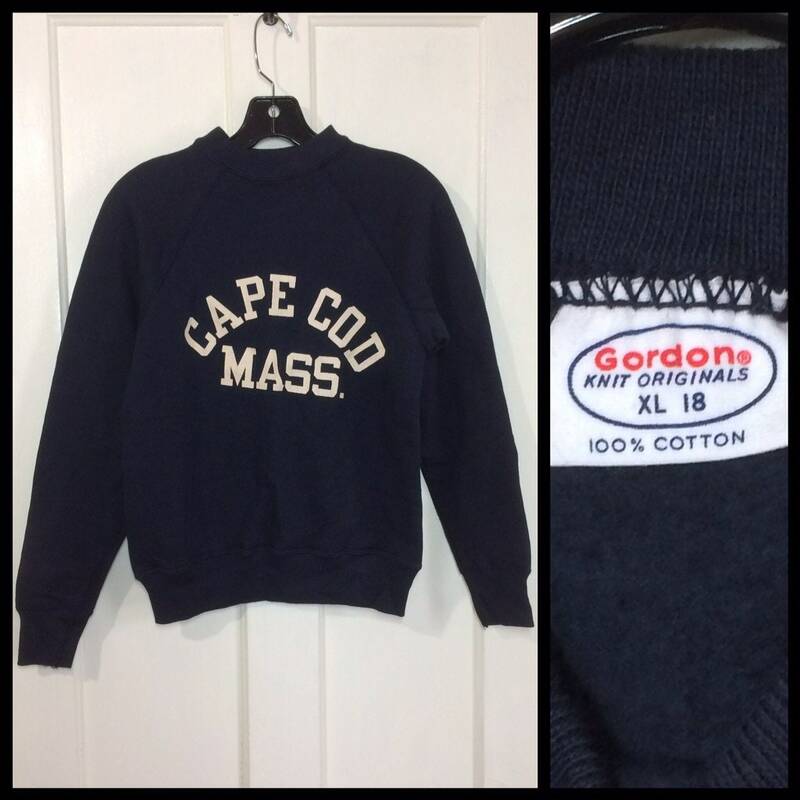 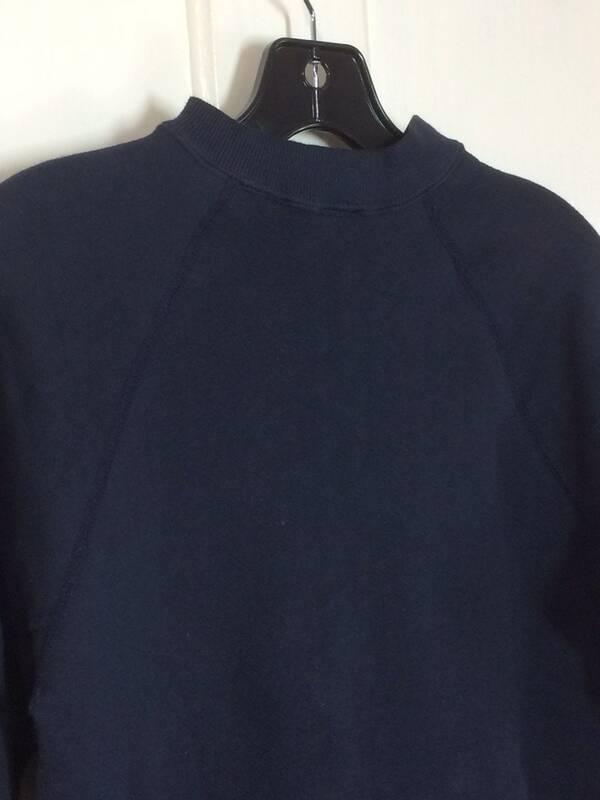 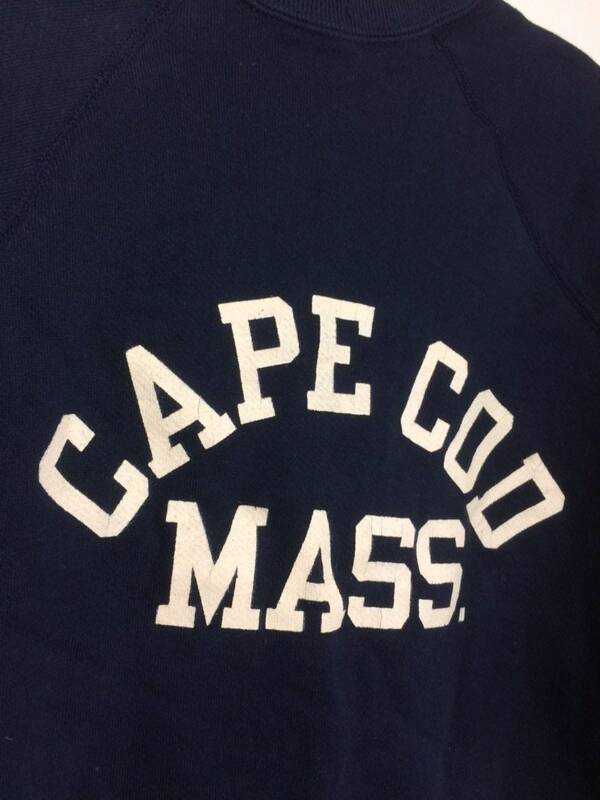 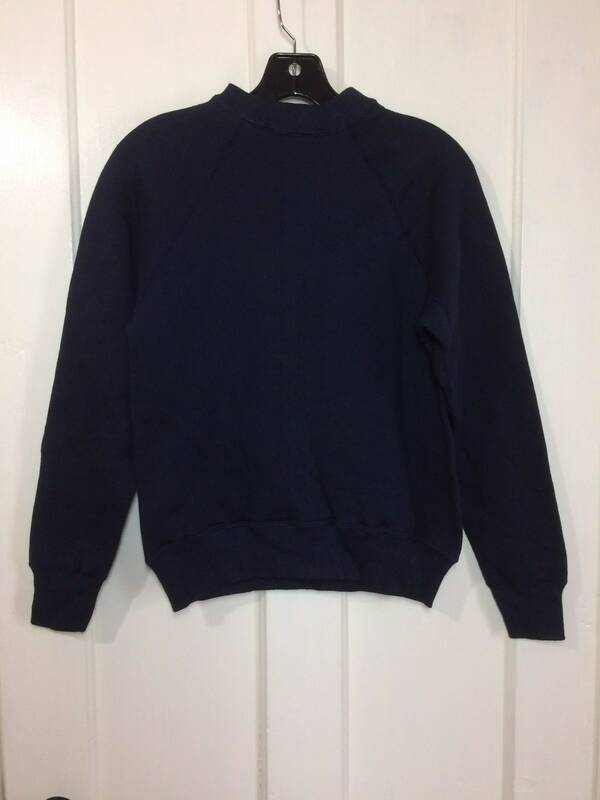 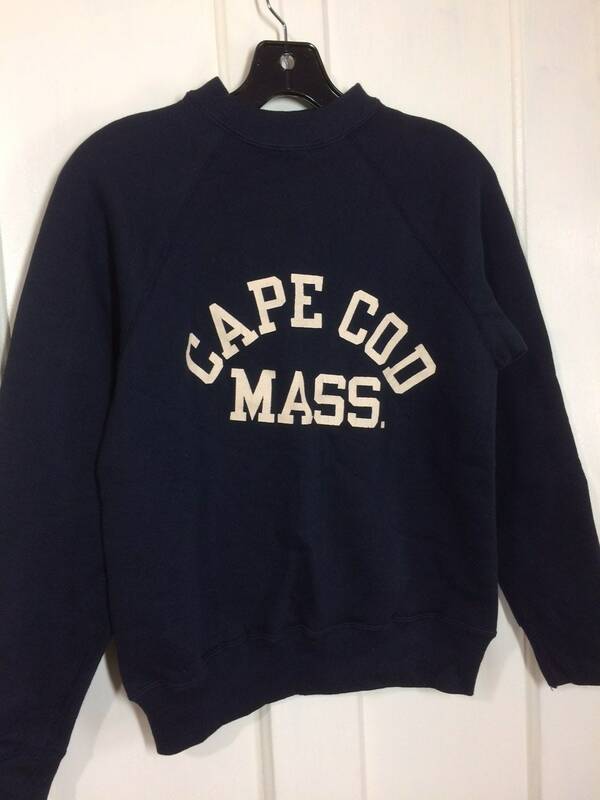 Here's a cotton Cape Cod sweatshirt from the 1960's. 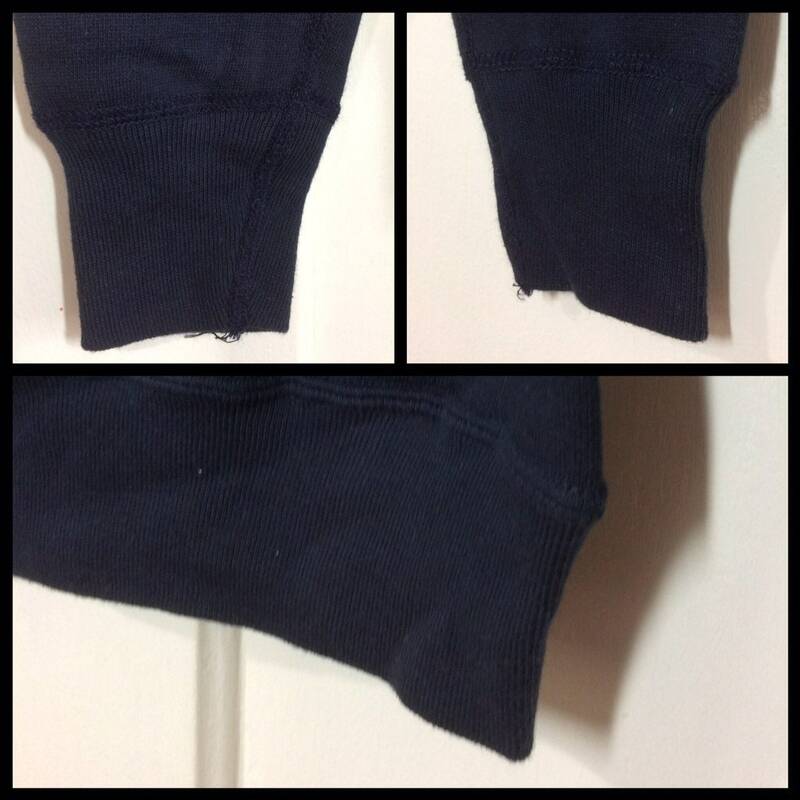 It's very soft inside, has long cuffs and flat stitching. 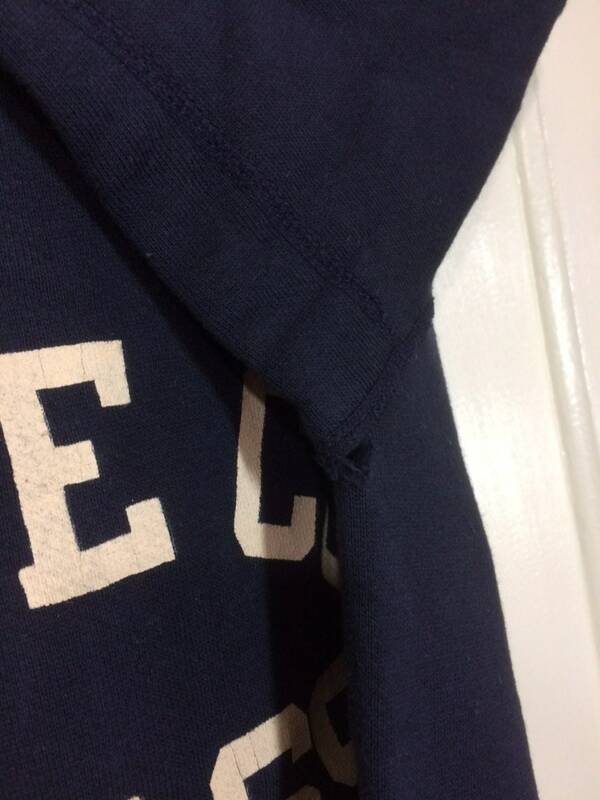 There'e a hole in the left armpit, see last photo. 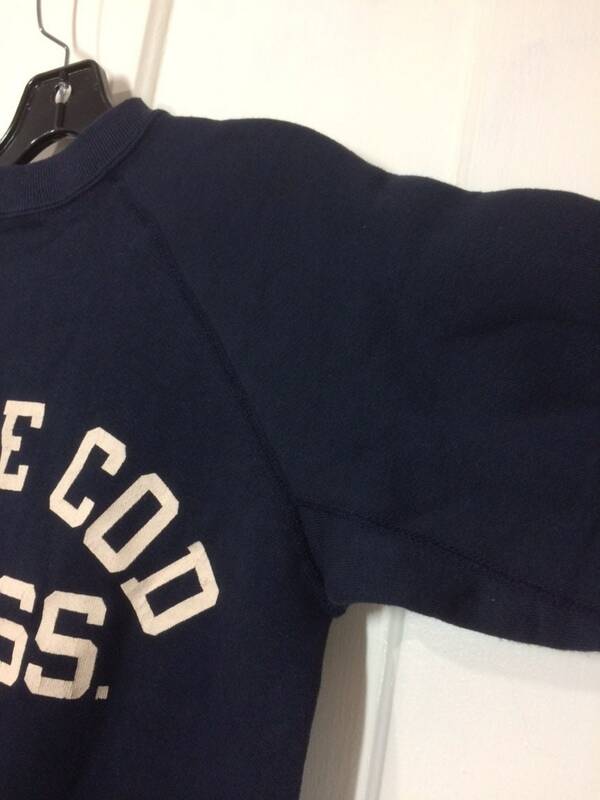 Otherwise, it's in excellent, barely used condition.